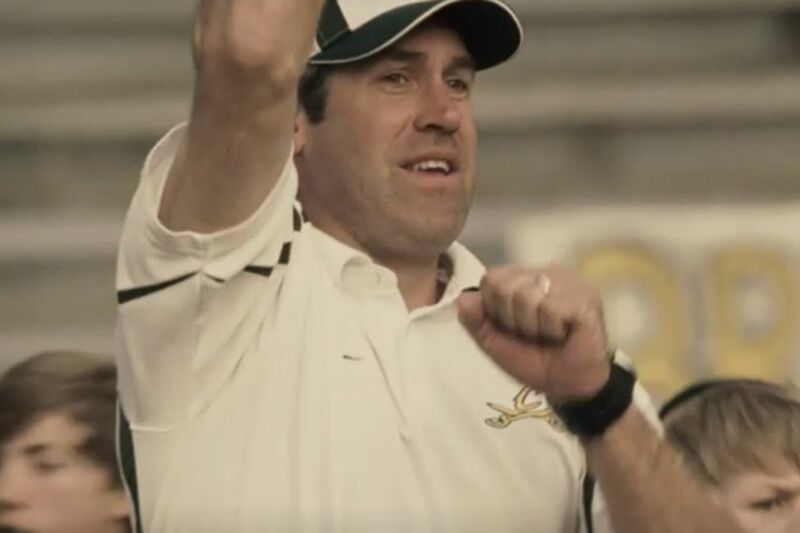 Eagles head coach Doug Pederson made a brief cameo in the 2008 film "The Longshots." Years before he led the Philadelphia Eagles to their first Super Bowl championship, Doug Pederson was once a high school football coach … and a budding film star. Reddit users over the weekend uncovered a cameo Pederson made in the 2008 film The Longshots. The blink-and-you'll-miss-it shot occurs midway through the film, doesn't involve a line of dialogue and is so brief, Pederson isn't even named in the credits following the movie. The movie, staring Ice Cube and directed by Limp Bizkit singer Fred Durst, was based on the story of Jasmine Plummer. In 2003, the 11-year-old became the first female quarterback to lead a team to the Pop Warner Super Bowl. In his brief appearance, Pederson plays an opposing high school football coach. Plummer played for the Harvey Colts, which were based in the south Chicago suburb of Harvey. But the movie was filmed in the Louisiana towns of Minden and Shreveport, according to IMDB, which may be how Pederson ended up in the production. Doug Pederson talks to a player as head coach of Calvary Baptist. Pederson was the head football coach at Calvary Baptist Academy in Shreveport from 2005 to 2008, where he won 40 of 51 games and reached the state semifinals twice before receiving a call from then-Eagles head coach Andy Reid. "Doug's football IQ was on another level," quarterback Jack Booty, the district's offensive player of the year as a senior, told my colleague Zach Berman after Pederson became the Eagles' head coach. "As far as the experience I had with him, the wealth of knowledge in football was unlike I'd known before. We spent so much time on the little things, three-step drop and handing the ball off. As far as my development as a quarterback, I learned so much." >> READ MORE: Training camp storylines: How will the Eagles handle success and avoid a Super Bowl hangover? The late Roger Ebert gave The Longshots three stars, praising Keke Palmer's performance as Plummer as adding a level of "humility, shyness and a certain sadness" to the character. "The film is remarkable in other ways. It includes some of the expected elements of any film from this genre, but without the usual Hollywood supercharging," Ebert wrote. "It's not all pumped up with flash and phoniness." The Longshots is available to stream for Showtime subscribers.